has a clean sweet taste, with no aftertaste and is approximately 70% as sweet as sugar. designation of a group of sweeteners. These sweeteners do not contain any alcohol. affect blood sugar, nor does it cause tooth decay. It is only partially absorbed by the body. Erythritol does not raise blood sugar levels and is suitable for use by diabetics. 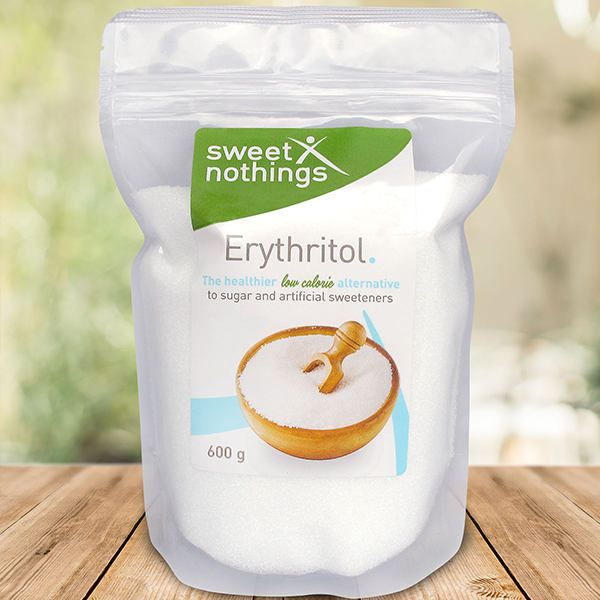 Sweet Nothings Erythritol is 70% as sweet as sugar, so you will need to add a little extra.